Your child is learning about road safety at his or her nursery or school but as a parent or carer you also play a big part in helping your child to learn how to stay safer. Children will copy adult’s behaviour, so if they see you taking risks they will probably take risks too. One of the best ways that you can help your child to stay safer is to set a good example when using roads, on foot and in the car. Engie (part of NELC) can provide schools/college/ and nursery aged children with information and assistance on Road Safety. The team work closely with various schools across N.E. 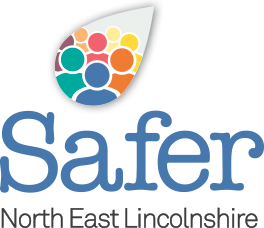 Lincolnshire, providing road safety awareness through resources such as Junior Highway Codes, Road Safety Events and Road Safety assemblies. This is also available for local groups such as Cubs, Scouts, Girl Guides, Rainbows, Beavers and Brownies. Volunteer groups can also loan out our road safety equipment free of charge. From a road safety educational point of view, Engie regularly visit schools within the Borough to deliver age targeted assemblies such as Key Stage 1 and Key Stage 2 and even Nurseries. Each road safety assembly/talk is adapted to suit each school based on geographical location i.e. location of school entrance, how children travel to and from school, if schools have issues such as not wearing helmets for biking to school, etc. A variety of leaflets and information regarding Road Safety Matters, Tales of the Road (young road user highway code), Seat belts and Child Restraints and ‘The Good Egg’ guide to in-car Child Safety. In addition Engie have Road Safety Props such as Pedestrian and Zebra crossings that can be used to role play highlighting road safety awareness which can be hired out free of charge. Engie are currently looking at introducing road safety education via a professional theatre group which will be fully funded by Engie, targeting years 9 and 10 for the next academic year. This has been trailed out with positive feedback from Ormiston Maritime Academy (if anyone would be interested this would be allocated on a first come/first served basis within a specific time slot). There are 25 Think! lesson packs that will help you teach a range of road safety topics to children and teenagers of all ages. The lesson packs are colour coded by key stage and age range, from early years to key stage 4. Each lesson pack contains a lesson plan, links to road safety teaching resources, and activities; everything you need to plan and deliver effective road safety education. These resources are not limited to classroom use and we hope that they will be used by anyone with responsibility for educating children and teenagers on road safety, including road safety officers, police and fire officers, out of school leaders, and parents. Think! Road Safety Education Website (Early years/Primary) – This website includes road safety information and free resources for pupils, teachers and parents. Some of the resources will also be useful for: Road Safety Professionals and Out-of-School groups. This is primarily based at children aged 3-11 years. Think! Road Safety Education Website (Secondary) – This website includes road safety information and free resources for pupils, teachers and parents. Some of the resources will also be useful for Road Safety Professionals and Out-of-School groups. This is primarily based at children aged 11-18 years.